If you are headed to this afternoon’s Dodgers-Rockies tiebreaker, you have a lot of company. 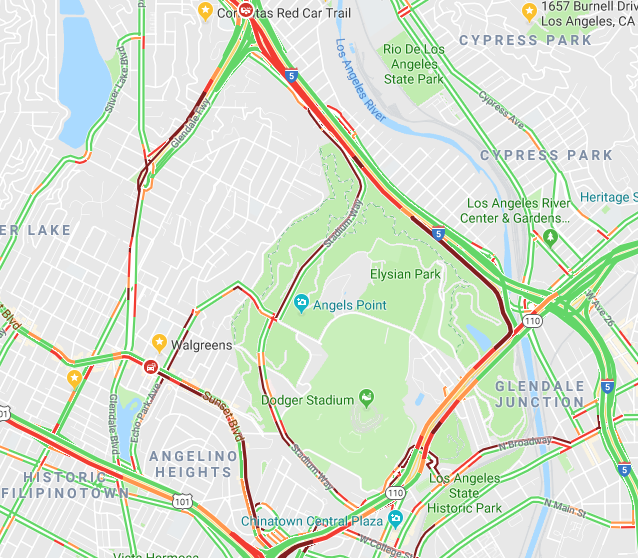 Google Maps shows heavy traffic on most of the major streets in Echo Park, Angeleno Heights and Solano Canyon that lead to the stadium as the game got underway at about 1 pm. Let’s see how traffic does once the game ends around the evening rush hour.